See all condos that are currently available for purchase. General Information: The Academy at St Gregory began as a public school in 1894, an era when public buildings commonly showcased the best construction of the time. The school was converted to the Art Academy in the 1980’s. It’s this most recent use that inspired the name of this residential development of 14 individual condominiums. Be inspired every time you enter the magnificent entry. Where else can you live where your front door is framed with 20 foot tall, carved stone and huge fan window? The renovation in 2005 was done with a vision of preserving as much of the original integrity as possible while contemporizing the living spaces in a dramatically lovely way. The lobby was designed to be comfortably elegant - as indeed are the individual residences. The original hardwood maple floors on the second and third floors were preserved. Flooring on the first and fourth floors are new maple hardwood. Kitchens have been elegantly designed with granite counters, Jenn-Aire appliances, and custom Haas cabinetry. Kohler plumbing fixtures have been used throughout. Granite was also used in bathrooms. All windows are double glazed insulated for energy efficiency. There is a wide variety of floor plans. One of the units is the largest one floor plan in the center of Mt Adams. Fourth floor residences have additional loft space and also offer some magnificent views. There is perhaps no better location for those who enjoy being near the center of social activity. Many of the most popular gathering spots are just steps away. This Mt Adams street had all its utility lines put underground in 2009- making the street that much more attractive! Wonderful gathering spots are within walking distance such as Mt Adams Bar & Grill, Tavern on the Hill, and Teak to name a few. Your morning cup of coffee is waiting for you at the UDF across the street. Mt Adams has their own community website: MtAdamsToday. The convenience of these residences goes beyond dining. You are as close to Downtown as you can possibly be. It’s possible to be at Fountain Square in just 8 minutes. Access to the freeways is just 3 minutes away. <="" font="" color="#000080">In the five years between January 1, 2014 and January 1, 2019, residences have sold between $179,900 and $340,000. That high sale was listed by our Clint Copenhaver. HOAs are based on square feet, range from $385 to $658 per month. • #303 - "Eden Park"
We know you will be impressed with the quality and comfort of these residences - not to mention the amazing convenience! If interested in a private tour of any available residence, please give Clint, Amy or Lee a call. Any one of these agents will give you the most professional insight into The Academy and the neighborhood in general. 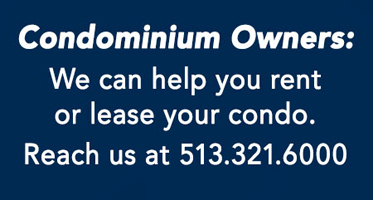 If you'd like to notified when a residence becomes available, they can help you with that also. ~ And in fact, any of our professionals can assist you with this. To see all of our agents, click the link below. We are part of the fastest growing real estate company in the world. We are a network of over 22,600 agents in 960 offices in over 70 countries. We market our properties to an extraordinarily large audience.